The Dreamcast Junkyard: Windows CE is Best OS and Dreamcast is Best PC? However, simple logic shows that this is not the case, and the console operates from Sega's own software. Each game ran only the bits and bobs of the operating system that it needed. For the most part, games used the proprietary software developed by Sega. Despite this, it was possible for games to run the Dreamcast-optimized version of Windows CE that Sega and Microsoft had developed. According to Sega Retro, there are around 50 games that do so. Looking over my collection, I posses 4 such games: Armada, Q*Bert, Tomb Raider: Chronicles, and Who Want to Beat Up a Millionaire (denoted by a small text blurb or box on the back of the case - although Armada is merely 'Compatible with' and not 'Powered by'). Unfortunately, not being well-versed in programming and what-not, I could not tell you the differences between these games and the rest of the Dreamcast oeuvre. 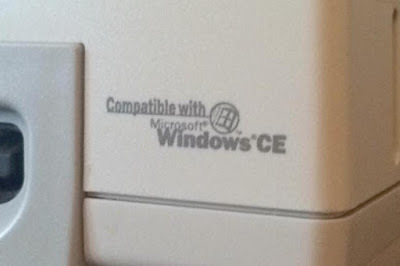 One nice thing about Windows CE was that it had existed for several years prior to the Dreamcast's development. It was a program developed for smaller, less powerful devices. Designed to be embedded, the interface was customizable. Windows CE would supposedly allow for ease in porting PC games to the console. After consulting with a computer technician friend of mine, it seems that some of the disadvantages would have outweighed those benefits: for instance, the initial load screen would have lasted longer. (Although a longer DC start up theme would have been sweet!) 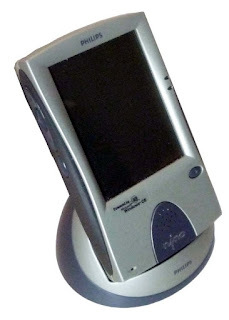 And devices that did use Windows CE, such as the Phillips Nino, were largely mediocre or poorly received. In the end, Windows CE only saw limited relevance to our beloved DC and Microsoft's involvement in the video game console industry would have to wait a couple years. Still, the whole affair must have had some affect on Microsoft, since the Xbox One has a version of Windows 8 on it. Do you have one of these intriguing games? If you've seen any noticeable differences, feel free to share in the comments below or on the FaceBook group! I have quite a few as a matter of fact. With that said, I personally don't like much of the DC software that made use of the Windows CE OS mostly due to the performance of these games and how they tend to run on the hardware. Questionable loadtimes and certain games having to constantly load data off of the disc so the GD drive is constantly put to work. Perhaps the only game I actually DO like that uses Win.CE OS is Resident Evil 2. The DC version is essentially an near identical port of the PC version which is actually a real good thing. Higher Res CG cutscenes, cleaner in game models and loads of PC exclusive extras carried over. Yeah, my friend mentioned that they ran poorly, but I didn't mention it because I only played my CE games sporadically. Thanks to the Dreamcast version of Half-Life using this OS it makes the PC ported mods a possibility thankfully. If you guys haven't played any of the Half-Life PC mod ports, I will suggest They Hunger and Paranoia, 2 of the best ones. They even have saves working and really are a great little tidbit of homebrew magic. I have the two Tomb Raider games, and aside from the loading screens they play very well and look almost comparable to the PC versions; much better than the PSX versions. The Windows CE for Dreamcast SDK was intended as a stop-gap for developers new to the Dreamcast but not new to programming within the Windows ecosystem of libraries. Ideally, all developers would use the Katana SDK. SEGA went one step further in making Dreamcast development easier (at the cost of performance, resources, time, and money) by allowing the use of Windows CE. 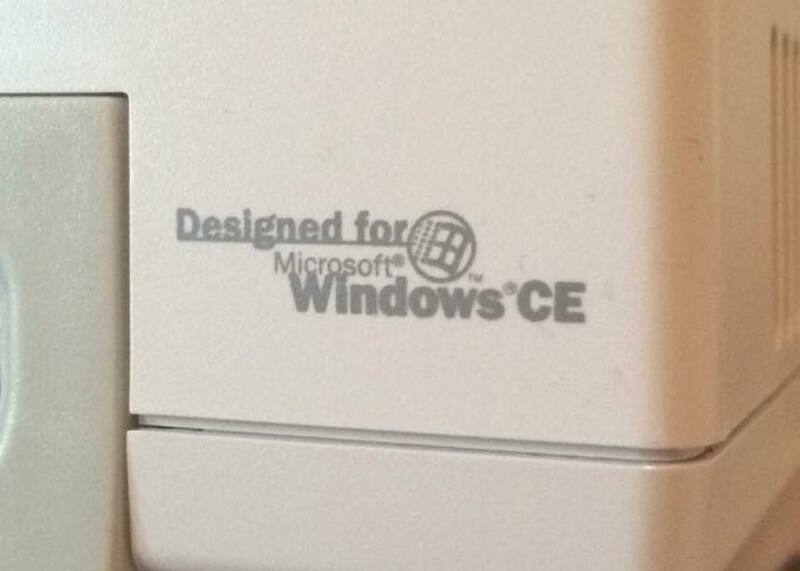 In order to make a Windows CE game, you would need to build the Windows CE image that the Dreamcast would boot from. Think of this like the program "nLite" but at a much lower level. Developers could also set up the Windows registry as they needed to. Unfortunately, the use of Windows CE did slow down the performance of games.